I would highly recommend Eurofab! They helped me with my window coverings and it was a great experience. The customer service was excellent from beginning to end and very reasonably priced. Thank you so much for taking the time to leave us a review Luisa! It has been a pleasure assisting you with your new purchase of window coverings. Karen at Eurofab was very friendly and professional throughout the whole process. She replied quickly to emails, and took care in immediately resolving issues that came up. I was pleased with the quality we received as well - I knew the motorization wouldn't be too loud, but it ended up being much quieter than expected! The experience as a whole was positive, and I would definitely go back to Eurofab for any services in the future. Thank you so much for your wonderful review and allowing us to provide you with Somfy motorized blinds throughout your home. We're glad the blinds exceeded your expectations and know that you will enjoy them for many years to come. It was such a pleasure working with you Nicole! They did a nice and precise job. They have a good variety of choises in store. Thank you for taking the time to leave us a review Francesco! 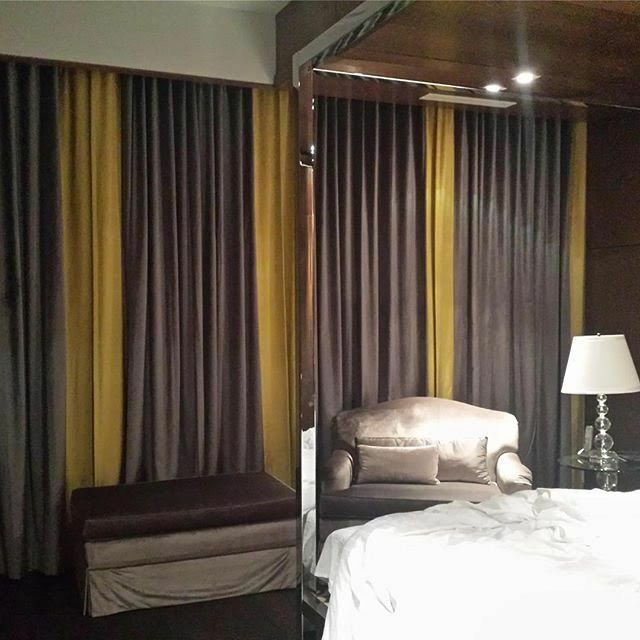 We loved how your linen drapery turned out and are glad that you are please with the outcome. Excellent service, selection and knowledge! William and his team at EuroFab were absolutely AWESOME (e.g. 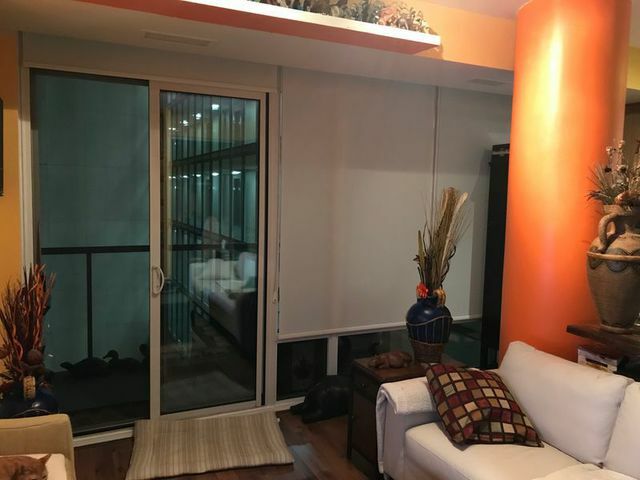 they were professional, seasoned, and patient) from "just browsing"stage, to selecting the perfect window treatment/solution from an array of choices to post installation service! This was my first real investment/purchase on windows in my condo and I'm so glad I did. What a beautiful difference and really adds to the decor. I am so grateful for EuroFab in walking me through the entire process! I have had my binds for over a year now and I am completely satisfied I made the perfect choice .. thank you, William! Thank you for taking the time to leave us a great review. We're so glad you are still enjoying your blinds! We believe that post installation is when you really learn whether you've chosen the right company for the job; if there's ever anything else we can assist you with please do not hesitate. Eurofab owner Will came to our house, looked at our paint colour and finishes and our taste in decor and took measurements of all the windows in my new home. When I went to his store to pick the materials, I was amazed at how many beautiful textiles Eurofab has in their inventory. I was overwhelmed with so many choices but Will was able to make suggestions that turned out to be perfect for our home and our family’s tastes. My daughter loved loved her curtains! I changed my mind a couple of times but Will and his team were patient and efficient to all my requests. Professional service and immpecable taste! Thank you so much for the kind words Kim. It was a pleasure working with you on this project. We are so glad your daughter loves her new curtains as well! As anyone who knows me, knows that I highly regard service, quality and professionalism. I have been hunting around for new blinds and stumbled across Eurofab. 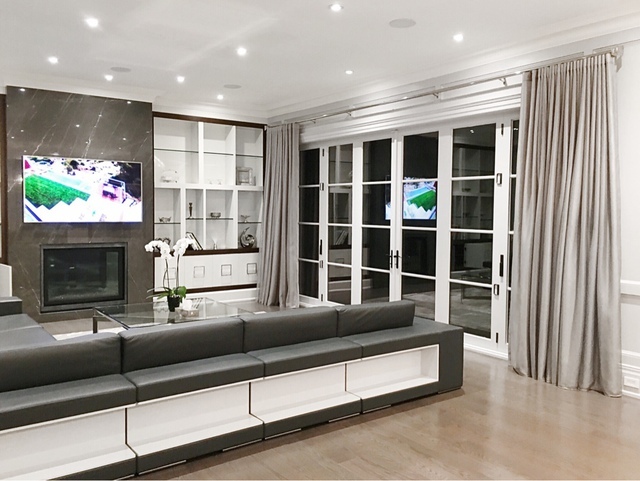 Thankfully, with so much competition out there for window coverings, it's always SMART to become an educated consumer no matter what your purchasing. Bill and his crew went above and beyond, let alone the extra mile, to provide me with exactly what I wanted. Constant communication, great installation service, and what I really always appreciate is FOLLOW UP. Thank you so much for the kind words. It was a pleasure working with you and we're glad you had a great experience. I was looking for a certain pattern of curtain for my condo and it was the first thing I saw when I walked into the store. Their installation of the custom drapes was timely and efficient. The person they sent was also very nice and personable. The curtains look amazing. Could not be happier with the service I got there. Thank you for taking the time to leave us a review. We're so glad you were able to find exactly what you were looking for. Our team strives to provide the highest level of service and I'm glad you were able to experience that. High Quality hardware and curtains. Punctual and attentive installation. Good advice from the people at the shop. Thank you so much for the review Danny! Looking forward to your next project! About 4 years ago,I had floor to ceiling curtains made by Eurofab. The curtains closed across my patio entrance and another matching set was installed over my big bay window. After years of people and dogs running in and out of the patio, the inside panels on the patio entrance started to rip. I took a little snippet down to Eurofab to see if there was a chance that they still had the same material available to fix the patio curtains. No - they didn't carry that particular colour anymore. I had to face the realization that I probably had to replace all the curtains in both locations. Then Karen called from Eurofab and said that they had found some remaining matching material way up in the remnant section. I took in my patio curtains and the two ripped panels were replaced. The fix was done in 4 days and the cost was unbelievably reasonable. You cannot tell the difference from old panels and the replacement ones. Woohoo. Eurofab was gracious, detailed, and very helpful. Thank you to Karen and everyone at Eurofab. Thank you so much for taking the time to leave us a review! We are so glad that you are happy with the outcome and will be sure to share your comments with Karen. I chose Eurofab 432 queen St West after visiting 4 other fabric shops to find the fabric I wanted for an antique Victorian Sofa. The Design Consultant Karen Cam was very helpful and pleasant and quickly located the fabric I wanted. She also suggested her upholster and they did a fine job too and even did a little touch up on a few chips on the rosewood frame at no extra charge and included pick up and delivery I definitely was not looking for the cheapest cost but the labour cost was less than another quote I received. I was very happy with the service . While the upholstery time frame was longer than expected it was definitely worth waiting for. Thank you for choosing us for the project! We truly appreciate your kind comments and I will be sure to share them with our Design Consultant Karen. Our humble beginnings date back to 1998, when we originally opened our doors as a fabric shop in the trendy Queen Street West district of Toronto. And believe it or not, that’s still where we are today, after all this time. Times may have changed, our products may have changed, but our commitment to quality products and excellent services have not. Back when we started, collecting the various pieces to achieve the look you wanted for your home was a task involving a substantial amount of legwork. In those relatively early days of the internet, the convenience of online shopping was still a futuristic pipe dream. Consequently, the enormous amount of time clients would have to invest visiting countless stores for all their home décor was frustrating. Over the years, we provided many of these clients with unique, quality fabrics with which to make their custom drapery. 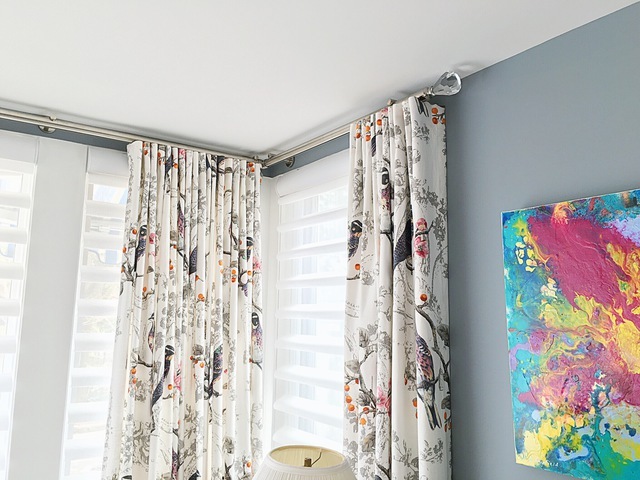 Our experience with these clients and our fabrics made it only natural to take the next step: expanding our offerings to include custom drapery services. In doing so, we helped to diminish our clients’ frustrations by consolidating some of their efforts, but frustrated they still remained. It was then that we decided to evolve and become much more than a fabric or drapery store. 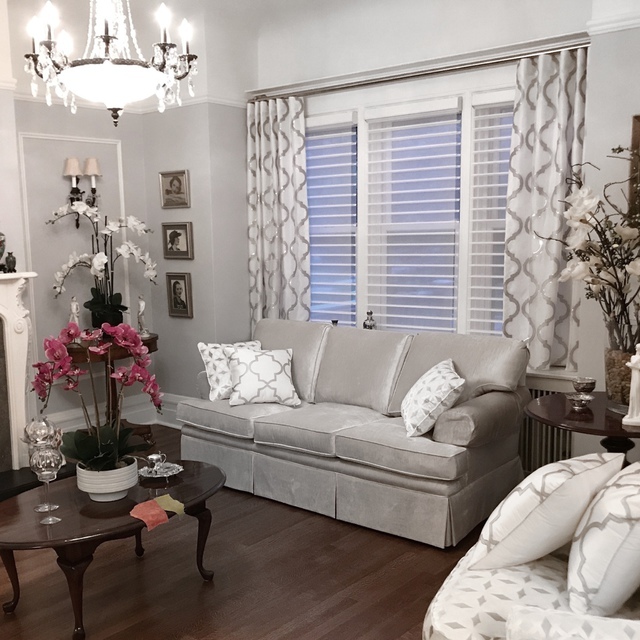 Realizing that curtains and drapes were not always suitable for all windows and spaces, we decided to provide a more robust selection of window treatments by adding blinds and shades to our product offerings. Our commitment to quality products and services made our choice of Hunter Douglas blinds and shades an easy one. The quality of their products, backed by a lifetime warranty, was consistent with our own principles and gave us the confidence to offer their products to our clients without hesitation. Today, our evolution has brought us to a place where we carry everything you need for home décor, with an emphasis on window coverings. 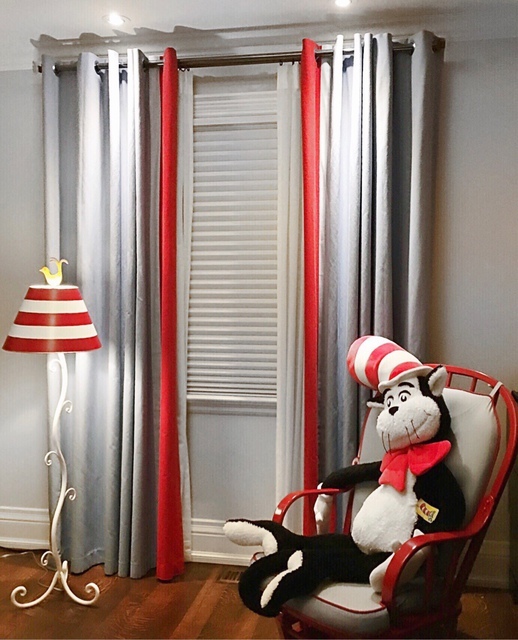 We have an extensive selection of drapery, blinds, shades and shutters as well as drapery hardware. 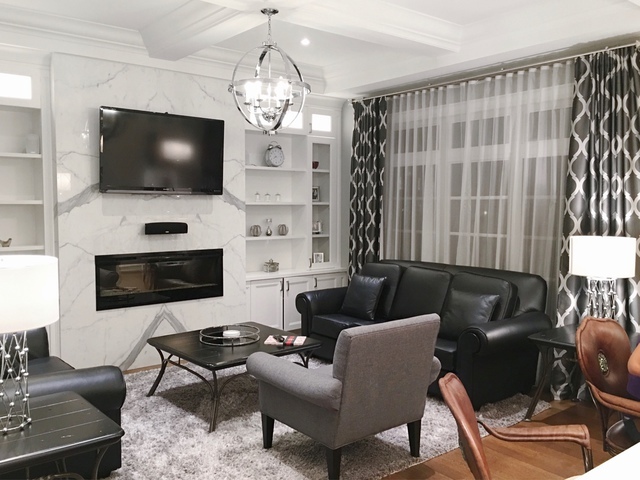 And because home décor is comprised of more than just window coverings, we also carry wallpaper, upholstery and home décor accessories, many of which are custom made and exclusive to our products at Eurofab. 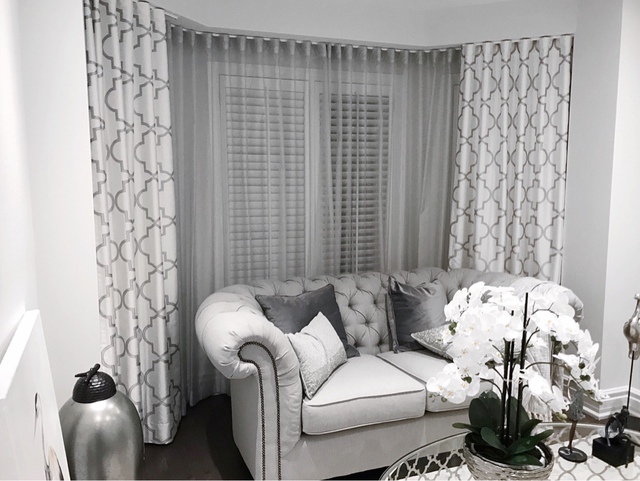 Almost 20 years of experience as well as our robust product offerings are what give us the ability to expertly recommend the perfect window treatments for your home. Add to that the unique drapery fabrics and home décor accents we carry, and you have your one-stop shop for home décor and window coverings. Speak to one of our design consultants today to find out more and prepare to be inspired.